Bravo cameras were rolling at the Dallas Startup Week event. Ladies, let’s be honest. How many of us have splurged on a gorgeous outfit for a special event, only to stash it away in our closets after one wear? Some dresses are lucky enough to be worn multiple times, but most will never see the light of day again. What if there was a way you could give another woman the opportunity to experience wearing that dress, and even make a little money in the process? That was the idea behind local entrepreneur Rachel Sipperley’s new app, Rent My Wardrobe. Rent My Wardrobe joins a slew of similar digital concepts, such as Wardrobe or Rent the Runway’s subscription-based Unlimited plan, that applies the sharing economy-approach to clothing. And with our city being such a hub for local influencers, the locally-based app could give followers full access to their favorite Dallas blogger’s enviable closet. Sipperley’s app recently received a major financial boost from Dallas couple Court and Kameron Westcott, who contributed to the $1 million in seed funding Rent My Wardrobe recently received. Kameron was one of several “Real Housewives of Dallas” in attendance (the Bravo camera crew was also in tow). 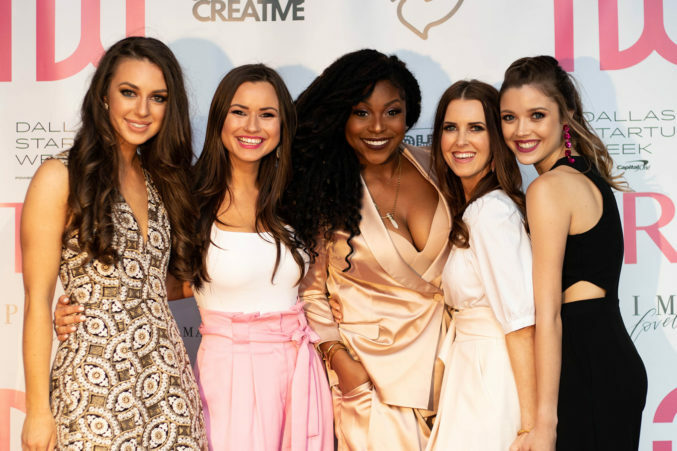 Other guests included influencers Brooke Burnett, Karis Renee, and Lauren Roscopf.